Yesterday, I took a drive up north to check on a few things….the road (which, based on the HUGE trucks blowing by us) is under heavy construction and set to go even farther north. On Thursday, Mayor Danny said that the road would continue all the way up to the old Basil Jones air strip. 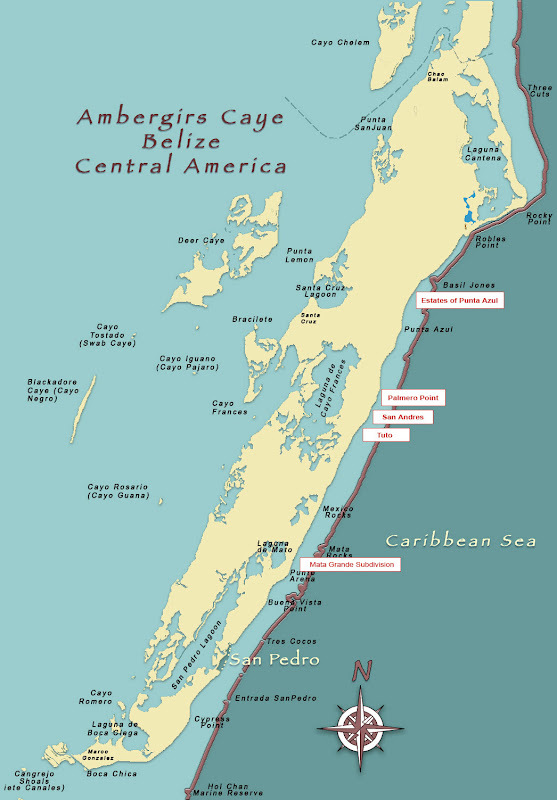 I can show you where the Basil Jones area is…about 11 to 13 miles north Ambergris Caye. But I can not tell you much about the air strip there. I know it was used for some early (1990s?) oil exploration. And as to who Basil Jones was? I need to do some more research (as usual). So the road will continue. 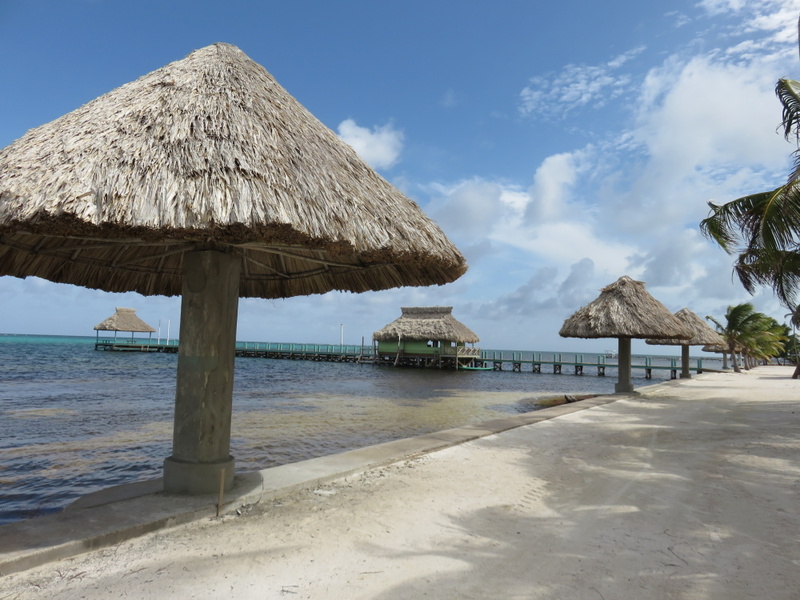 ALL that being said…yesterday I made my way up to 7 miles north and Xtan Ha Resort. 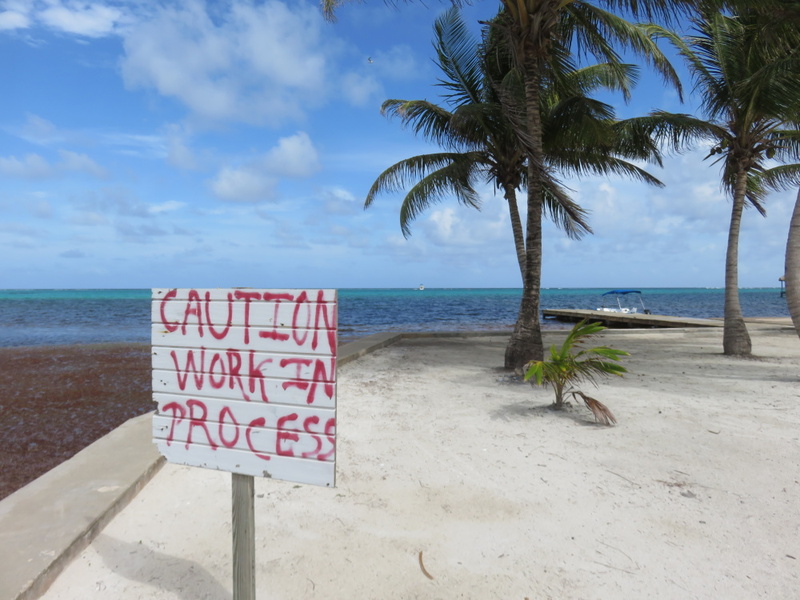 And then back down to about 6 miles north and the old Costa Maya Reef Resort – that closed in 2010. 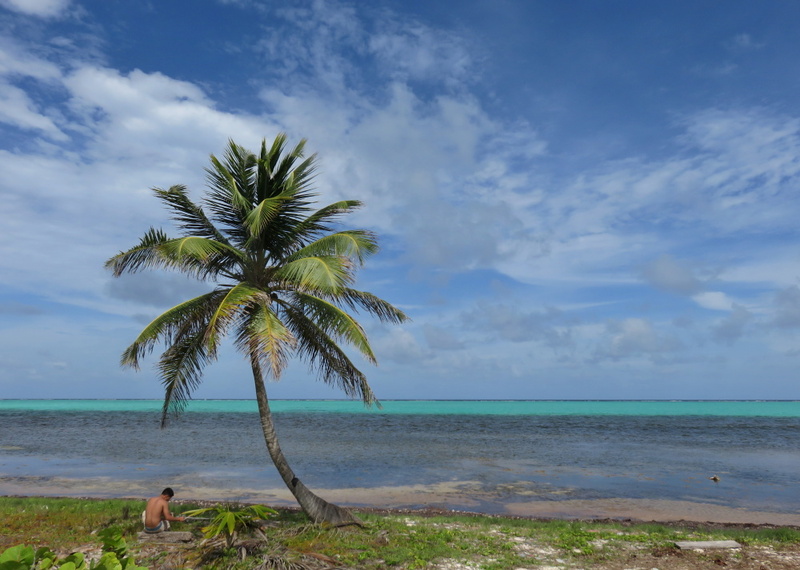 Here are some pictures by Xtan Ha. 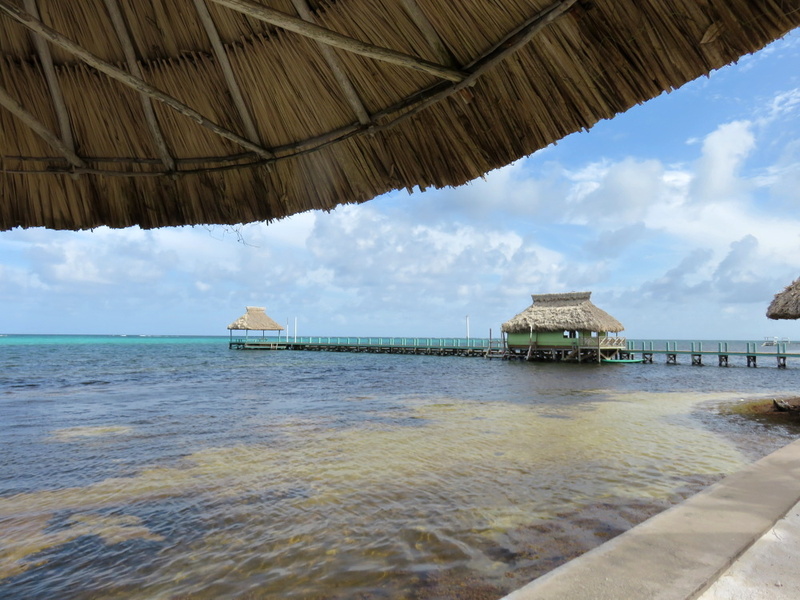 We then drove just south to another pretty stretch of beach (REALLY gorgeous) – the old Costa Maya Reef Resort. They are slated to open on November 1st. And the construction teams were working hard. They will soon be working day and night to make sure of the opening date. I believe they are planning to be ALL-INCLUSIVE. Pretty much a first for San Pedro. Here is the current website. 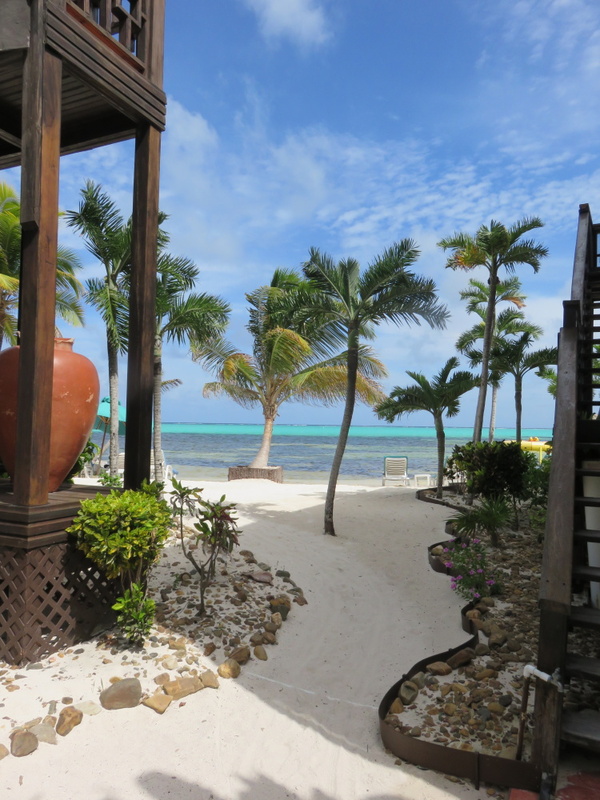 Now called Costa Blu Resort and managed by Sandy Points – managers of resorts like Coco Beach and Belizean Shores. Here are the pictures I took yesterday. So nice to see this area rejuvenating. 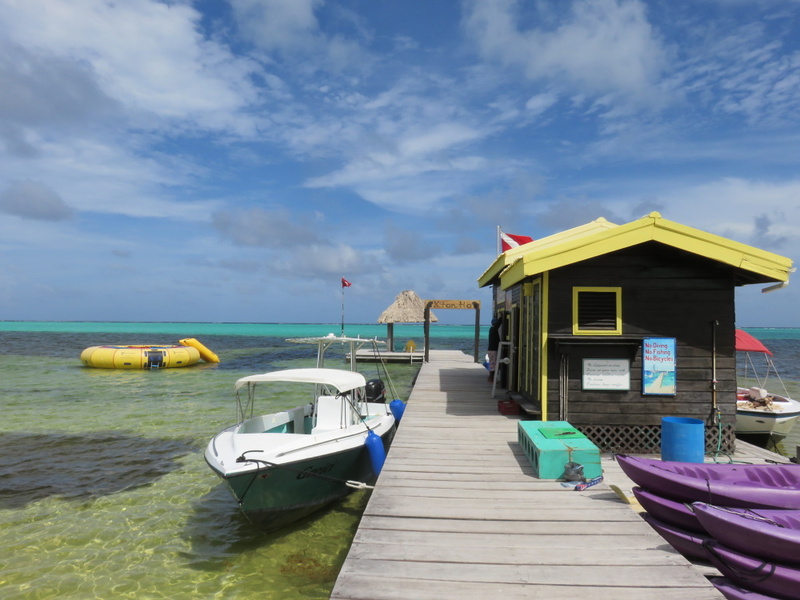 It’s a HUGE lot and right in front of the gorgeous Mexico Rocks snorkel area. 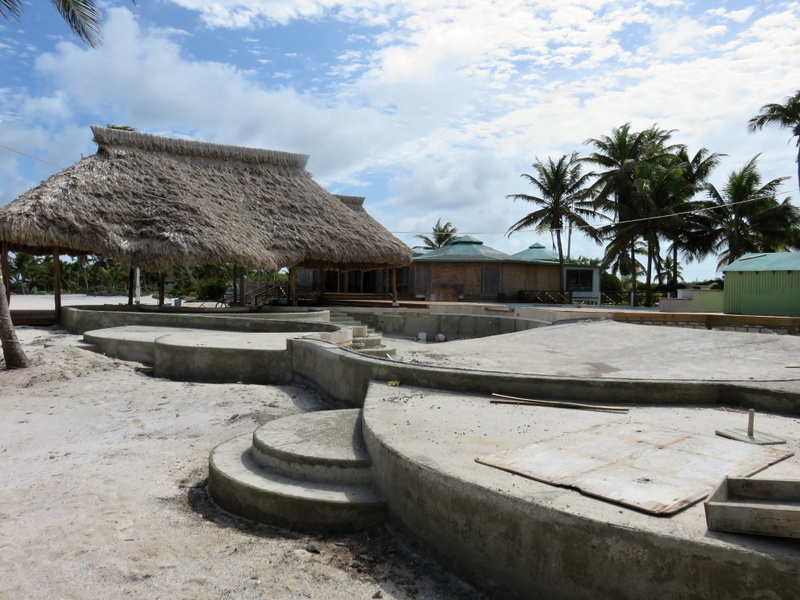 They are in the midst of finishing a massive pool with a swim up bar and lots of cool lounging areas…in the pool. Bar stools for some very tiny butts. And just a huge, beautiful property. 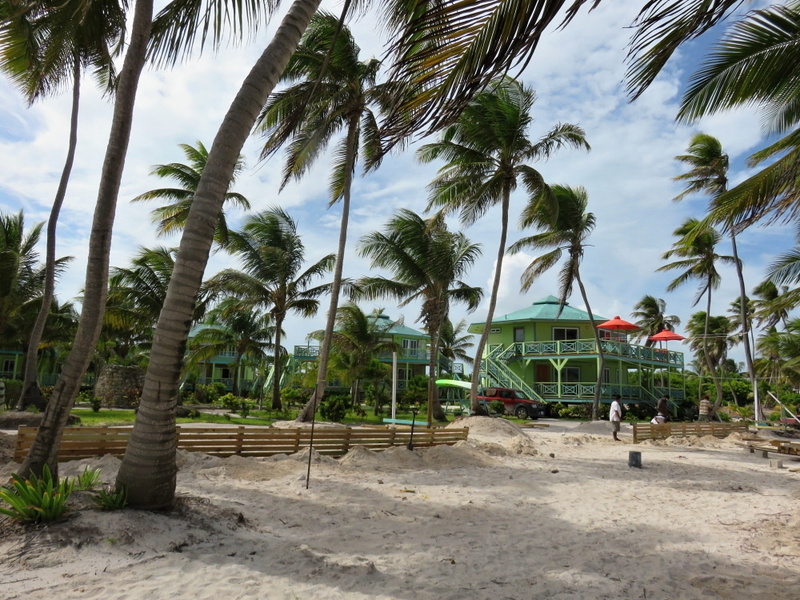 Lots of space – lawn and sand, full grown palm trees…lovely. 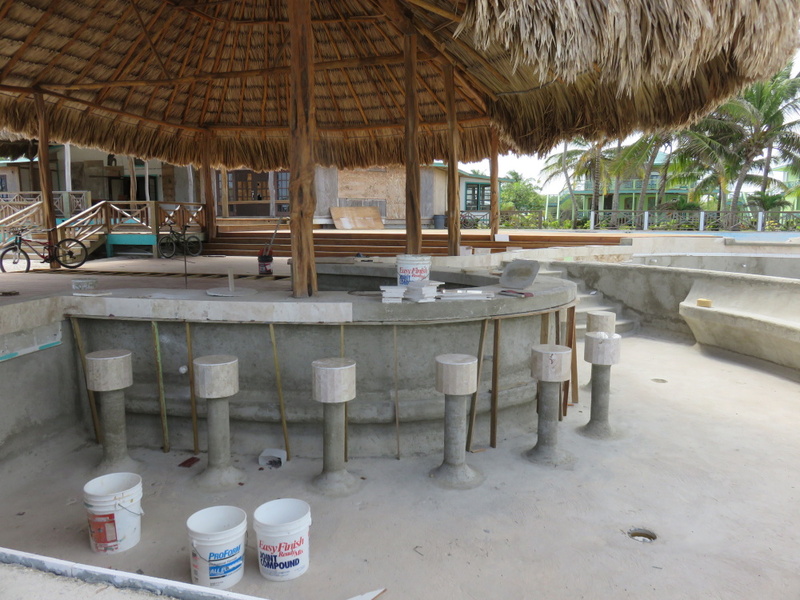 I have not always been a fan of Sandy Points Resorts – the Venezia Del Caribe (which is under construction) is…shocking. The pirate ship village is more than shocking. It is mortifying. 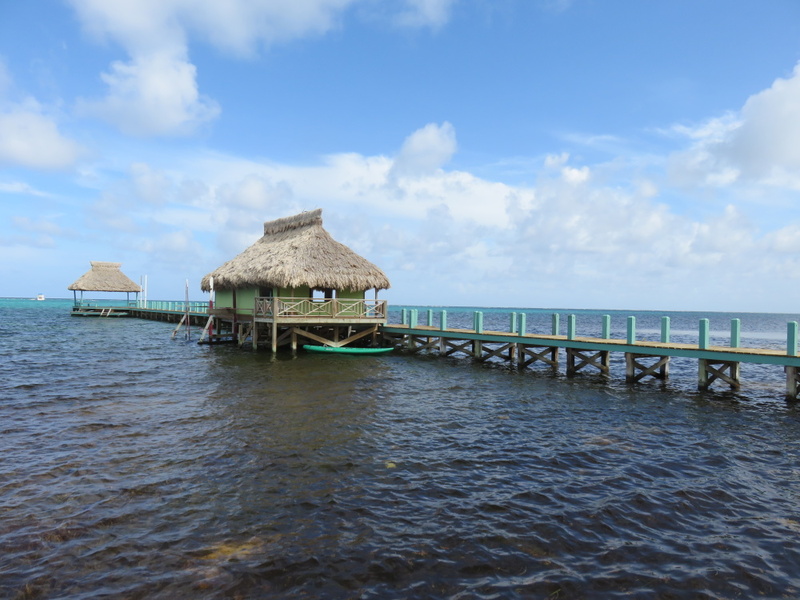 If you haven’t seen it, brace yourself – Isla Tesoro (which roughly translates to “tacky island”). 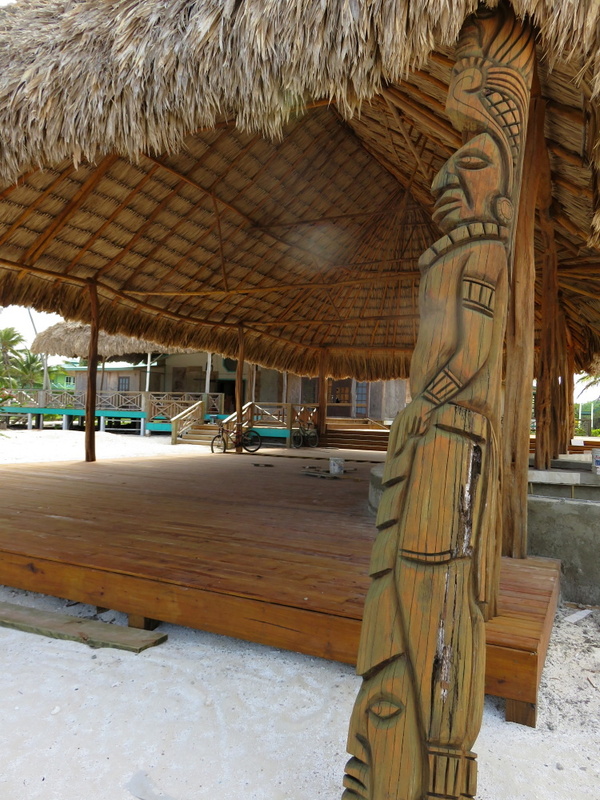 But the rebirth of Costa Maya/Costa Blu is a fantastic thing and the property looks gorgeous. I can’t wait to visit when they are finished. “Tacky island” I agree with that. So tacky, that it seems that they removed the design drawings from their website. They must agree. A change of plans? OH I hope so…but the Venezia also makes me cringe. Do we REALLY need gondolas on the island? I’d heard that Sandy Point was reigning in the theme park aspects of its pirate resort, too.That would be welcome. I am saddened that Sandy Point will welcome locals and ex-pats only to spend money at their bars and restaurants — but you are not welcome to dip in the pool or use lounge chairs while spending your money there. 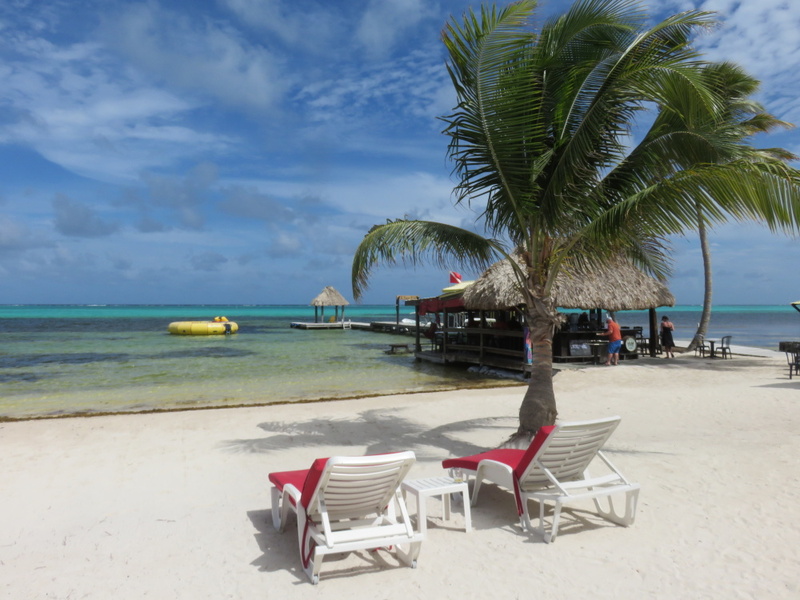 It used to be fun to “resort hop” down the coast by boat, grabbing drinks and lunch then jumping into a resort pool to cool off. 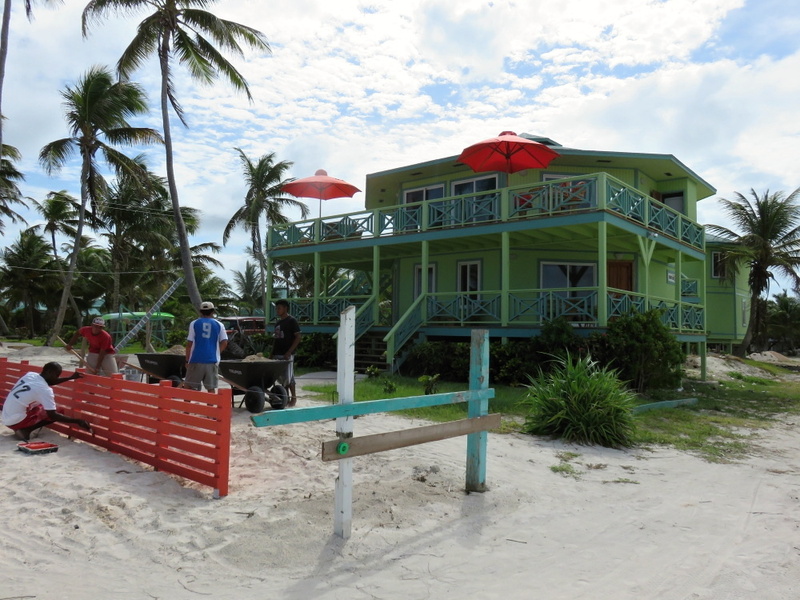 Oh, well, there are plenty of non-Sandy Point resorts that will welcome our business, I guess. It’s actually the condo owners and their HOA that set those rules. These hotels are actually just a hundred summer/winter homes owned by people in the states and they are marketed as resorts. When you have that mix there are always these strict rules that are set. Hmmm….yes. Living in a condo community myself, I can imagine! Thanks for that info…about the HOA and Bob, about reigning in the theme park part. THANK GOD. but maybe hoping for a complete 180 is not in the cards?